Along with selections from her album Keep You Forever (sold with It’s Not Too Late Baby)! Let Eva know if you’d like to recite some lines during the interactive readings! 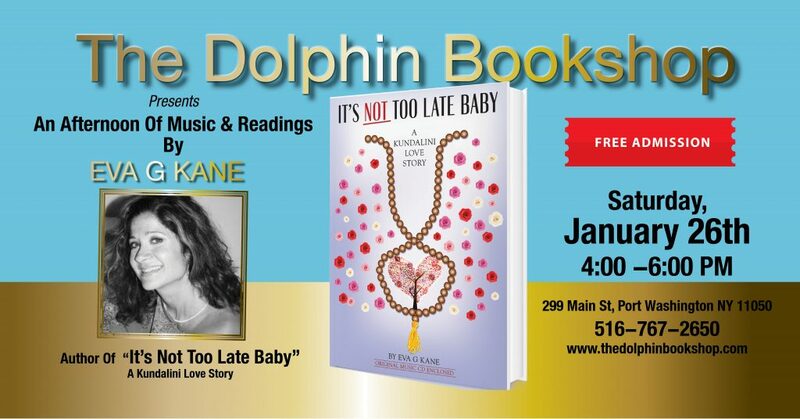 Get your signed copy of It’s Not Too Late Baby, a Kundalini Love Story on January 26th at the beautiful Dolphin Bookshop!